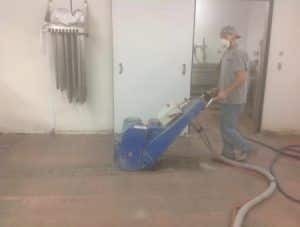 The crews at Concrete Renovations Inc. are experts in removing all coating systems. We have all the tools to remove even the toughest coatings. Here is an explanation of each method. 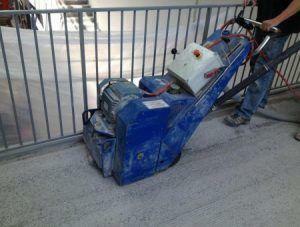 Method of a large floor grinder with coarse diamond tooling to shred off existing coatings and mastics. A machine with steel and carbide teeth on a drum that spins and shreds off very thick coating systems. 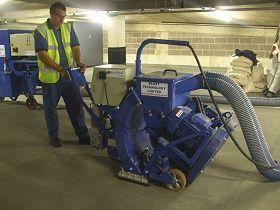 An aggressive method of floor preparation which a machine throws steel shot into the floor then vacuums up the waste. 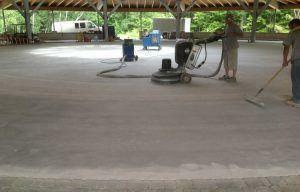 Let our people survey your floor and determine which concrete floor preparation method is right for your situation.